If there is any time of the year to gift (or get yay!) more expensive or extravagant gifts, it is the holiday season. While there are tons of great beauty gift sets that roll out throughout the year, the ones during the holidays are really decadent. If you are feeling extra spendy (or perhaps someone in your life is wanting to really spoil you), I rounded up some of my favorite super luxe beauty gifts and sets. In addition to the ones I showed above, there were a few more worth mentioning (and one is a MAJOR splurge so I am totally jealous if someone gets it for you LOL). Elizabeth and James Nirvana White Holiday Set - I already love their dry shampoo and fragrance, so this entire set is something I am putting on my holiday wish list! 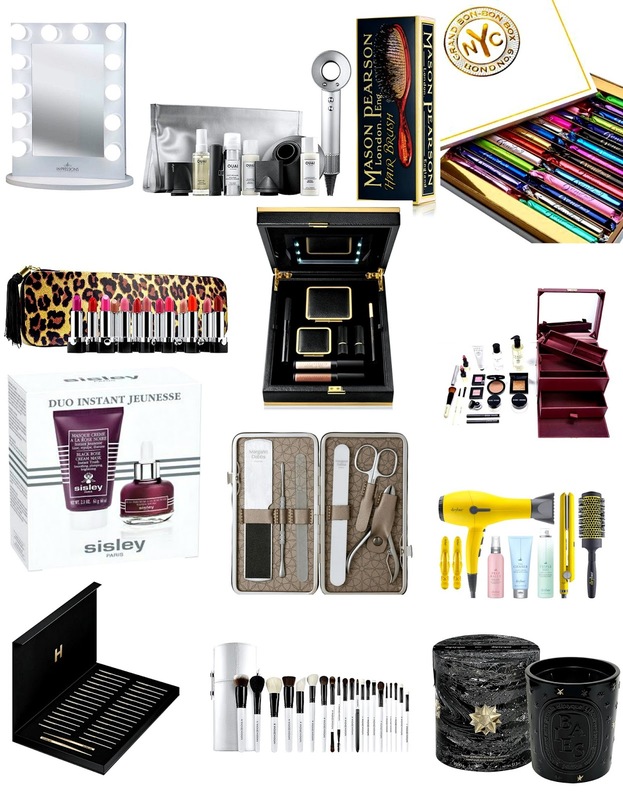 Net-a-Porter Ultimate Beauty Kit - This is it! The mother of all luxe beauty gifts. By Terry Prestige Beauty Set - I am a huge By Terry lover, and while there are quite a few smaller gift sets available, this one is a true splurge. And perfect for someone that is as obsessed with all things By Terry as I am. GloPRO Pack N' Glo set - So much buzz surrounding this microneedling device and I would love to receive this. It is probably not something you would buy yourself, but the holidays is a great time to give someone this to start the new year off on a skincare high note. Elemis Pro-Collagen Collection Set - I love the Elemis Pro-Collagen collection and have reviewed it a few times on my blog. This set contains every single product from the range and covers almost every step of a skincare routine. Fornasetti Large Candle - These candles put Diptyque to shame in terms of price, but the packaging of them always seems so elegant and chic. A major splurge for sure. Becca Shimmering Skin Perfector Set - Not a super expensive set, but for those that love the Becca Shimmering Skin Perfectors this is the perfect gift so they can try them all. Tata Harper Time to Shine Set - Even though I don't exclusively use natural or organic beauty products, Tata Harper has been a long time favorite of mine for years. This set contains some of her most loved (and most effective) products.